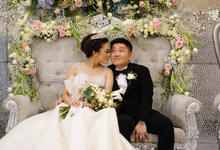 Thank you very much August karena sudah membantu untuk plan dan organize semua kebutuhan dan keperluan wedding Yugata & Sandra pada tanggal 19 Januari 2019. 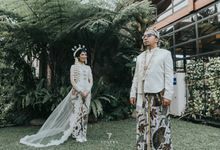 August sangat responsive dan membantu untuk segala hal menyangkut hari baik kami, mulai dari membantu mencarikan venue hingga hal -hal kecil seperti pembuatan kartu undangan dan details sebelum acara di hari H kami, August dan team pun sangat responsive bahkan ketika kami chat di malam hari, akan di balas dengan cepat (jika sedang tidak sibuk) Saya sangat merekomendasikan AS2 untuk kalian para pasangan yang sedang bingung mencari Wedding Organizer, harga sangat kompetitif dan kualitas layanan yang di berikan 110% Sukses terus untuk AS2 di kemudian hari! 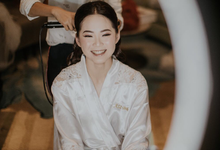 Wedding is not a simple venue to be prepared; There are so much thing to be handled and decided beforehand, such as venue booking, suits and gowns, make ups for bride and families, and other things that every bride and groom will definitely miss along the preparation. 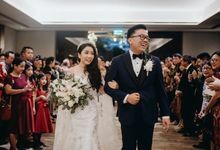 During our wedding, both preparation and D-Day, Ko August and AS2 Team are very professional, they made us feel safe and relaxed during the preparation because they got everything under control.\n\nTrust them, and you will have the best moment in your life, even beyond your expectation! 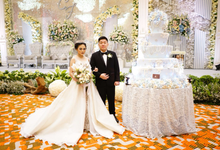 Wedding Organizer is one of the major and most important vendor in your wedding because they are the one who manage the WHOLE THING on that day and I'm very lucky to have AS2 Organizer as my wedding organizer!!! 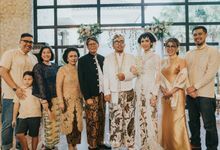 I felt the click on our first meeting with August and Angga, and we trusted them to be our wedding organizer! 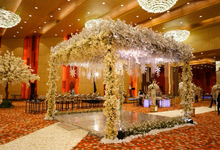 Its the best decision we made and one of the few vendors that we are really satisfied with. They worked whole heartedly and gave more than expected. 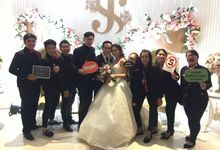 Their experience helped us a lot even in the planning (even though we hired them only for wedding organizer on the wedding day- not a wedding planner that help you throughout the planning process too). 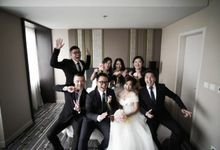 AS2 team are very solid and they didnt miss anything on my wedding day. They are very cooperative and have a quick response. 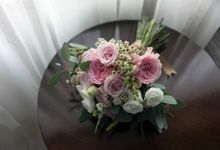 I strongly recommended AS2 for bride and groom to be out there who wants to have their wedding perfectly as planned! SO glad I hired AS2! 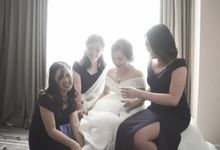 Godsend wedding planner & organizer! 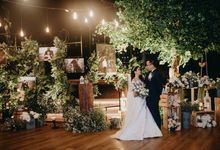 Gosh, how do i even start..We picked AS2 as our wedding planner and organizer and i swear it was one of the best decision we ever took throughout the wedding planning process. 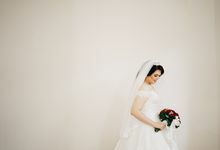 The owner (August) helped us tremendously from answering my bridezilla questions, picking up a lot of our wedding stuffs, mediating our issues with wedding vendors, printing out our invitation label, organizing our sangjit event, and he even picked up our sangjit goodies from our houses LOL. He literally helped us from A - Z :) During the day, his crews were very patient and kind with us and our family. Everything was taken care of. The crews are very thorough, organized, and seemed to have a lot of experience :) Thank you so much for you help and wish you guys a lot of success!!! AS2 always have something up their sleeves to create something new and creative for the moment. 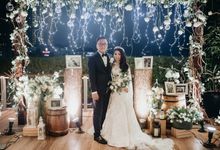 Starting from games up to the romantic part, they always created perfect and memorable moments that are out of the box! If you are looking for something extraordinary, AS2 is definitely the right choice.